Hahaha, I had to look twice at this picture before I realised what it was! Haha, glad you liked it guys. Cool way to melt the ice on chicken. LOL! I am laughing seeing this picture. 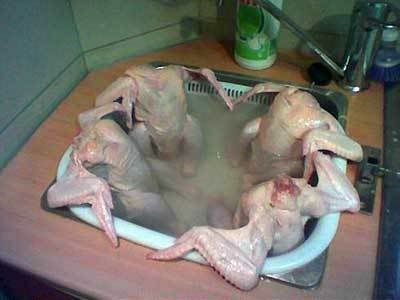 Chicken on hot tub? LOL!